I finally got my hands on the february issue of White Dwarf (the mag's been sold out in every hobby store in Stockholm). 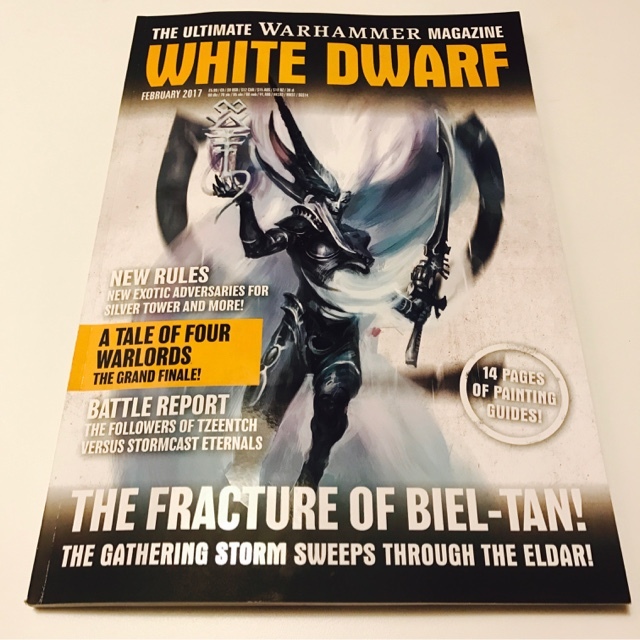 Apart from the rather nice feature on The Fracture of Biel-Tan, this month sees a new installment of Blanchitsu with yet another look at some of the retinues from the Pilgrym game. And lo and behold - this time the focus is on my Black Ship crew along with Migs Alpha Legion. 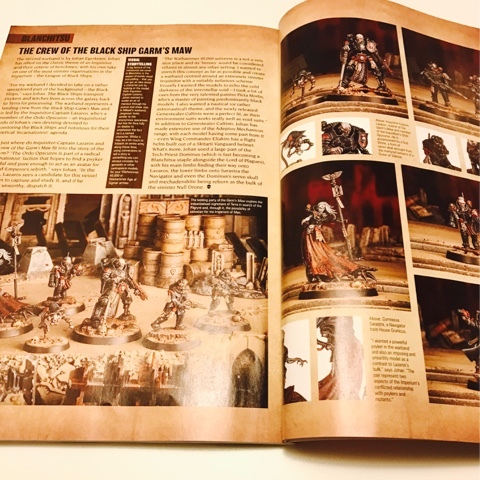 I'm very pleased with the article - the pictures turned out great and the text really gives you a good understanding of the faction and their agenda. This marks the fourth time in as many years I'm featured in WD if my calculations are correct. Yay for me! Dude, you have no idea. Everytime I get my WD in the mail I flip straight to Blanchitsu. My favorite series of articles in the magazine. The work by you and the others on there is always inspiring. By the way, have you seen the fan work going for a blanchitsu-esque movement in AoS? It's AoS28, and it's some pretty cool stuff. Yep - there's a lot of cool gritty AoS stuff popping up at the moment. I guess my contribution to this movement was the Nurgle warband for our Path to Glory campaign last spring. Loved the Garm's Maw crew on your blog. Looked even better in the White Dwarf. Well done man! The pictures was a hell of a lot better than what I can manage with my iPhone. I don't know how the Iron Sleet guys do it - they get such lovely photos using just ipads and iphones. Congrats! That band of minis was a favorite of mine out of the Pilgrym project. It would be pretty amazing if GW explored the Black Ships and their Order as a faction as a result of this being featured. Thanks Krauty! Glad you like 'em!! Gotta add that Kari's crew was the absolute top of the litter in my book. They were just amazing up close. Hehe. You've outdid us all with your Sororitas skull pyramid viginette Neil.